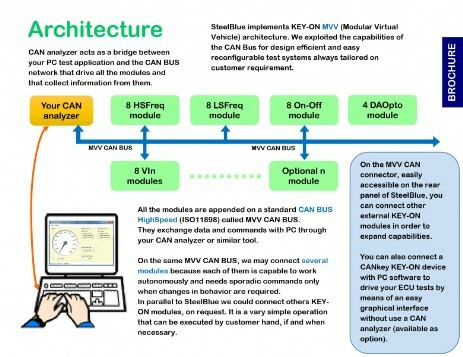 MVV SteelBlue is a compact test system designed to perform ECU testing activity: it can simulate many electrical signals normally generated by ECU sensors. It can also sample voltage signals generated on ECU outputs. We wanted to realize a tool easy to be interfaced and used. The architecture allows the user to improve capabilities, adding other modules and to integrate it in an existing HIL simulator. We deliver it ready to be used with all the modules configured as requested by the customer. Power SteelBlue with a laboratory power supply having an output voltage in the range between 9 VDC to 18 VDC. 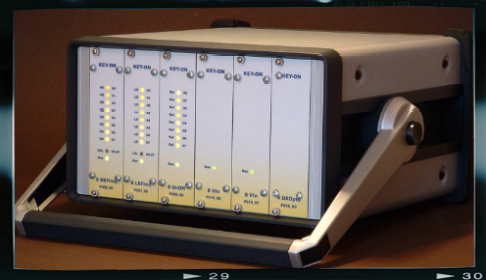 Capable of generating 16 completely independent square wave signals, with programmable frequency and duty-cycle. 8LSFreq Capable of generating 16 completely independent square wave signals, with programmable frequency and duty-cycle. The physical output interface of each signal line implements a lowside MOSFET type connected to the reference ground. 8 ON-OFF Module with eight relais inside. 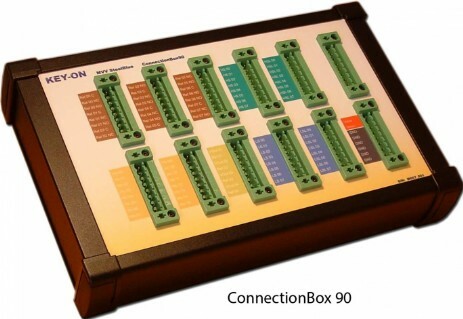 (C=Common, NC=normally closed, NO=normally open) are wired to the terminal connectors on the ConnectionBox 90 module. Module that can generate four completely independent voltage signals in the range from 0V to + 14VDC. Module capable of periodically sampling 8 voltage analog signals in the range 0V Ã· 20V and send their value on the CAN bus.